Please upload a print ready PDF as per our file supply guidance here. 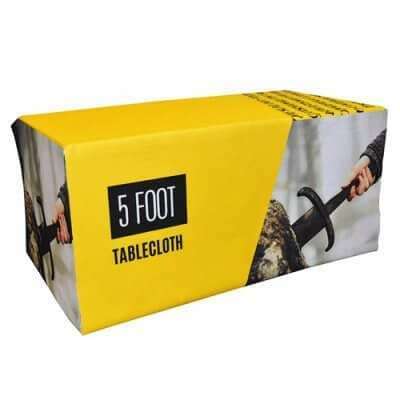 Our fully branded table runners are designed to lay vertically across a table. 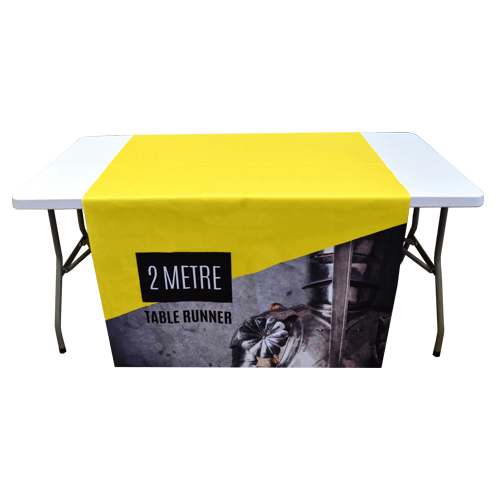 It works either with or without a table cloth underneath to help get your brand noticed. It’s the ideal solution if you’re unsure what size table you will be using, but still want to have a unique look. You can personalise every inch of the durable cloth. The table runner is designed to reach just above the floor either side of a trestle table width-ways. Your design is printed on 210gsm polyester ‘display’ fabric. 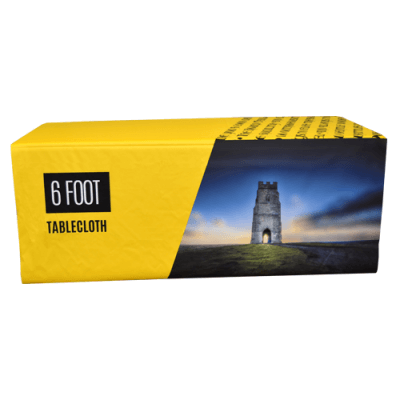 Need a custom size table cloth? No problem – get in touch to find out more.